Type 1-A designed with solid fiberglass side rails, nexus-coated to reduce fiber prominence or blooming during years of service. Rungs incorporate a patented "rung to rail" connection. 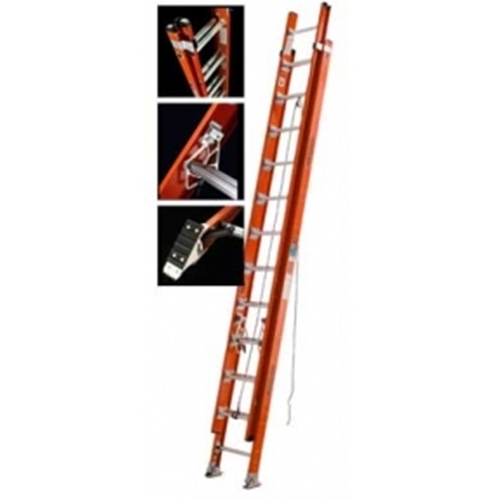 Feature 1-5/8" tempered aluminum flat top rungs, 5/16" polypropylene rope over a 1-1/4" pulley, cast aluminum swivel-type safety shoes with thick rubber tread, and die-cast aluminum, gravity-type rung locks.